« The Bucketlist With FIT FOR A KING’S Ryan Kirby! Today’s artist is Suicide Silence. 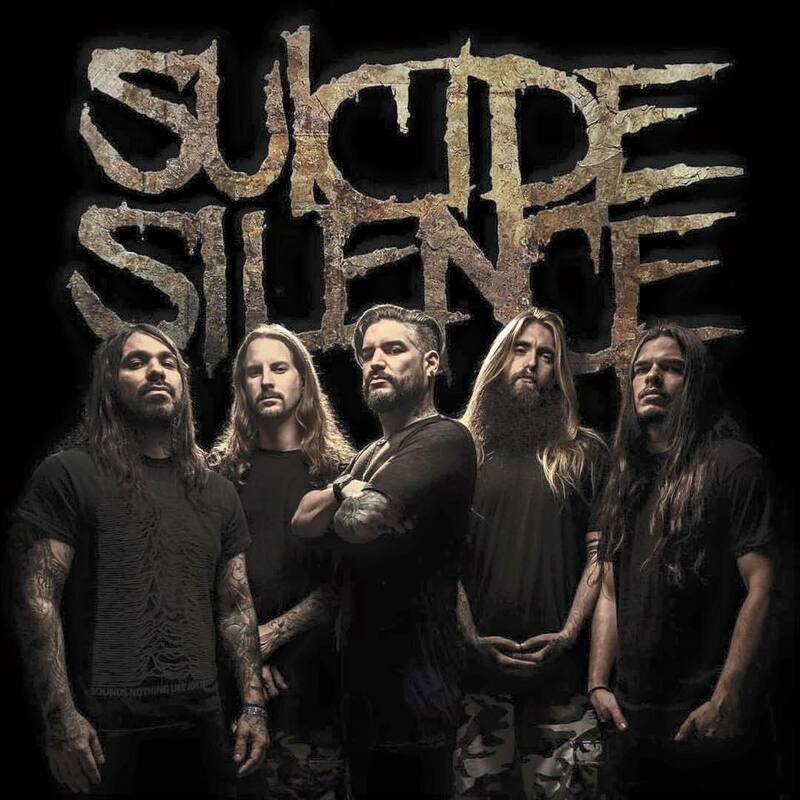 On Friday, July 16th, deathcore legends Suicide Silence will be taking the stage at Chicago Open Air for their third Danny Wimmer Presents festival. 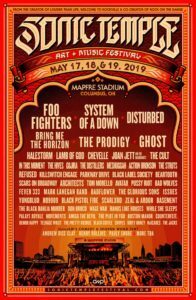 They previously played Aftershock last October along with several other acts that day like Korn, Puscifer, Whitechapel, and more. 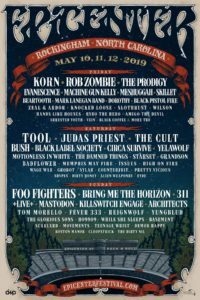 They also just recently played Rock on the Range with Metallica, The Dillinger Escape Plan, and Amon Amarth. The band formed in 2002 in Riverside, California in 2002 and released their first full length album in 2007 titled ‘The Cleansing’. The record sold extremely well for a debut and showed that the band would be very successful in the future. “Unanswered” and “No Pity For A Coward” grew to be fan favorites. ‘No Time To Bleed’ followed this record in 2009. Songs like “Wake Up” and “Disengage” have become staples in Suicide Silence‘s live sets. In 2011, the band released their final record, ‘The Black Crown’, on Century Media and also their final record with frontman Mitch Lucker. Lucker passed away in 2012 after sustaining injuries in a motorcycle accident. It was announced a year later that the band would continue with a new vocalist. Lead singer of All Shall Perish, Eddie Hermida, would be the band’s new frontman. With a name already well established in the metal community, the band was back firing on all cylinders. The first record with Hermida was released in 2014 via Nuclear Blast titled ‘You Can’t Stop Me’. It was their highest charting album to date and was well received from fans. They released the EP ‘Sacred Words’ in 2015. Just this year, Suicide Silence released their second record with Hermida, which was self-titled. There was a lot of criticism thrown towards the band because of how drastic the change was from the last record. This time around, the deathcore band put out a record mainly consisting of clean vocals with heavy influences from the likes of Korn and Deftones. It has been said that Lucker wanted to incorporate clean vocals in the band so they would’ve experimented with this path either way. You can check out the single from the record, “Doris”, below and form your own opinion. Suicide Silence puts on a top notch live performance that shouldn’t be missed if you are a fan of high energy shows. They are currently out on the road in Europe hitting many of the big festivals including Download, Graspop Metal Meeting, and With Full Force. Seeing two of deathcore’s juggernauts in Suicide Silence and Whitechapel is a remarkable opportunity that must be considered. 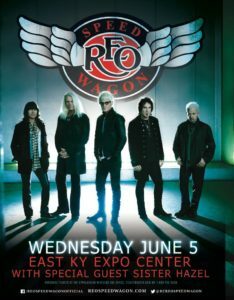 You can buy your tickets to see them at Chicago Open Air here. Be sure to follow the band on Facebook for updates on touring and new music. Follow the Chicago Open Air Facebook page for upcoming news on set times and other activities being planned around the festival. Tagged Aftershock, Chicago Open Air, Danny Wimmer Presents, Eddie Hermida, Mitch Lucker, Nuclear Blast, Nuclear Blast Records, Rock on the Range, Suicide Silence. Bookmark the permalink.